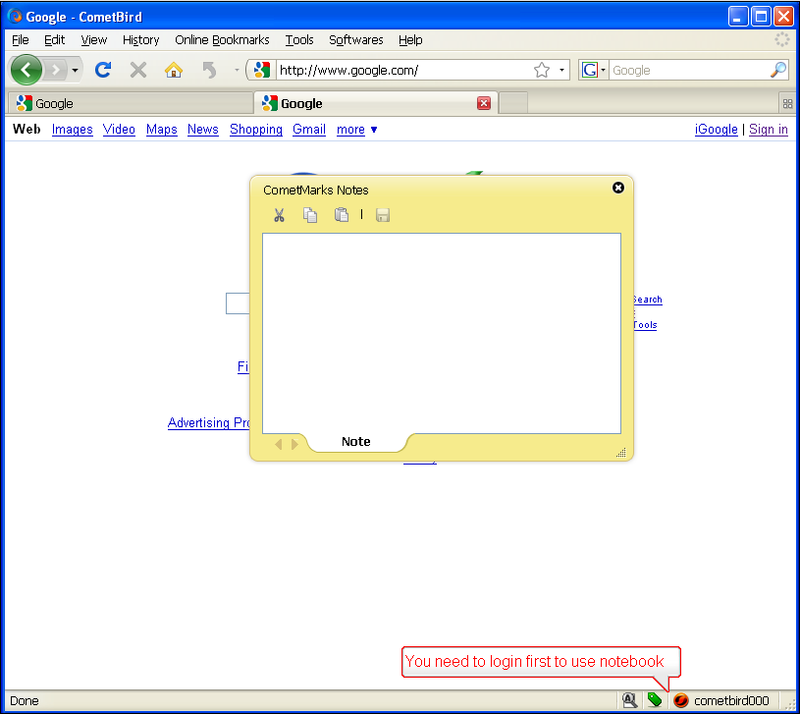 Unable to use your own bookmark collection on different computers or different browsers? CometBird leaves you free from this trouble. CometBird bookmark synchronizer keeps all your bookmarks consistent anytime and anywhere! With CometBird, you can download any video/audio/flash that you like to your computer. 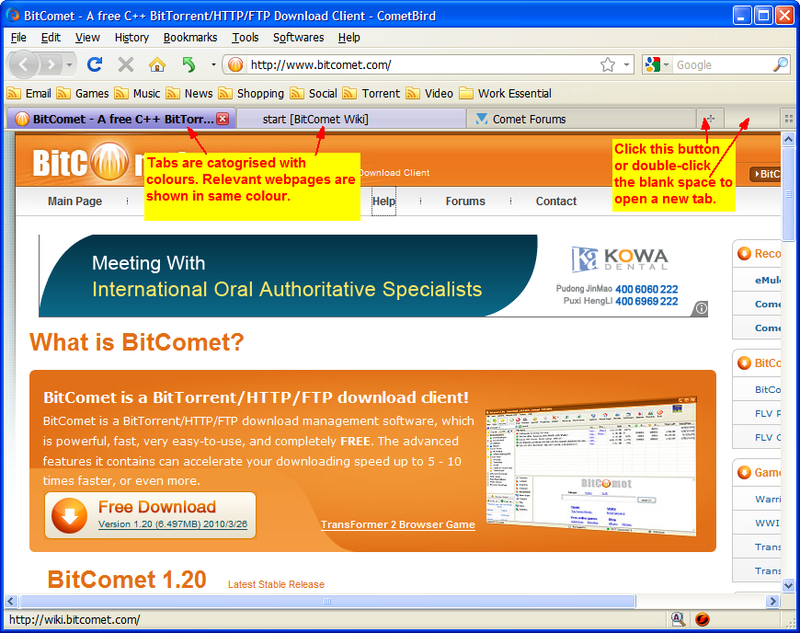 You only need to right-click the video that is playing, CometBird will save the selected file to your local disk. ComeBird has built-in word translator and Comet notes. 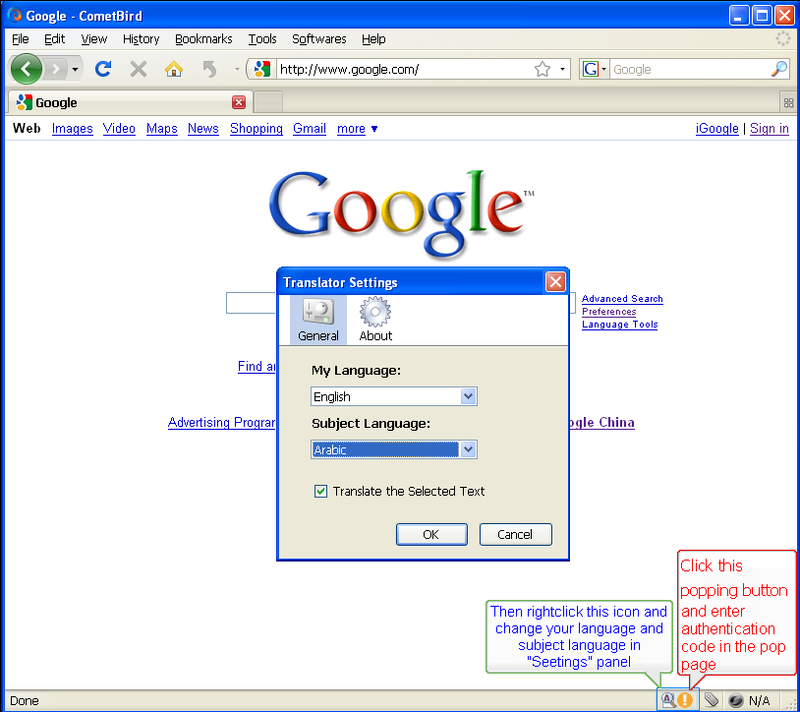 you will not need to look up for every word, hover your mouse over a word and CometBird will translate into your subject language. Comet notes even help you remember and manage your schedule easily. 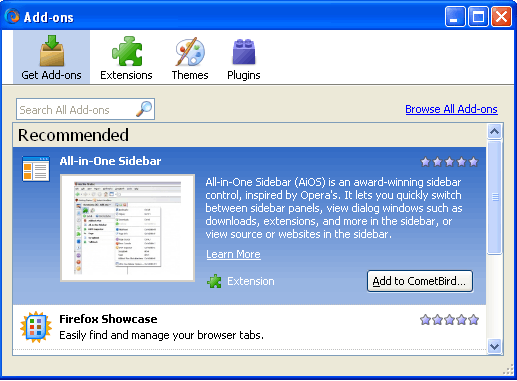 The page-loading speed is greatly improved by opening new page in a new tab instead of new window, which saves much of your computer memory and disk space. Anti-virus software, Pop-up blocker, one-click clearing private data, anti-malware and customized security settings etc, all these techniques are applied to assure you a safe and secure browsing environment. 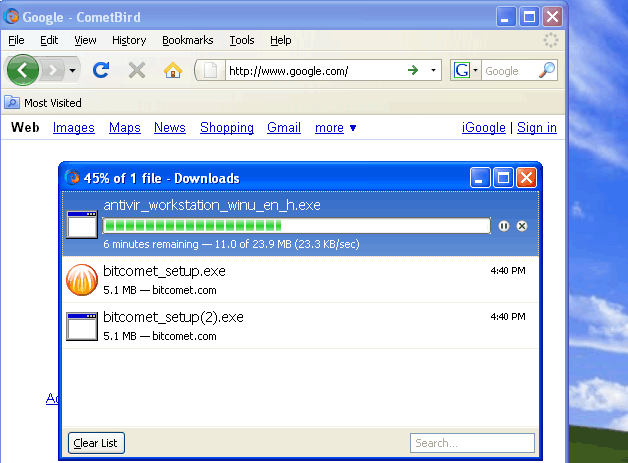 CometBird is a powerful and fast web browser. 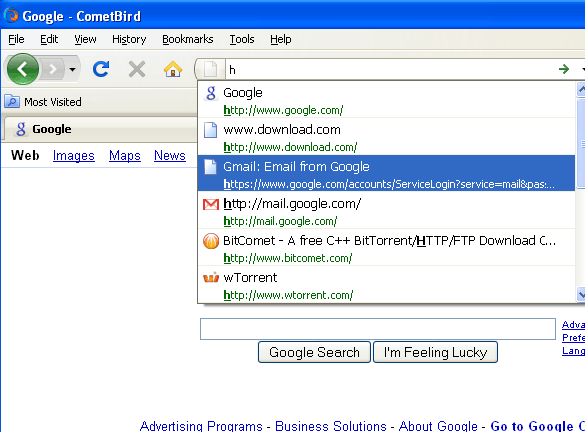 The outstanding CometBird Web browser is secure, speedy, and totally free; its specially designed features will change the way you use the Web. The upgraded version is even more effective in both performance and privacy protection. 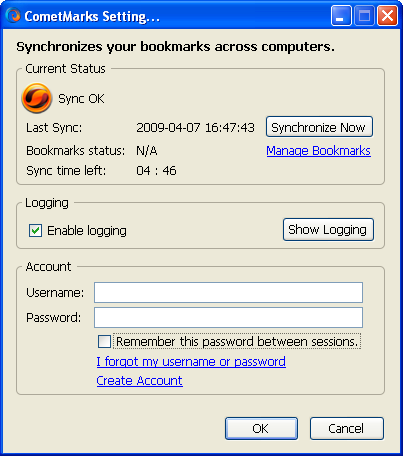 The bookmarks auto-synchronizer enables you to use same bookmarks collection anytime and anywhere; Thousands of customizing options are available for personalizing your own CometBird; Powerful security and privacy protection techniques will create a clean browsering environment for you; and its unique password manager and smart address bar will facilitate your browsing and logging in process.! 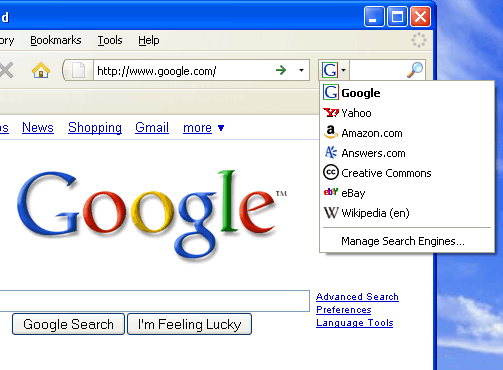 This is the best web browser I've ever used. It's so fast and easy that I'd gonna stop trying other ones. She is perfect in my opinion. Faster and safer. What attracts me most are the new features in this version. E.g., when you begin typing into the location bar, she guesses your need and fetches the most relevant sites for you. Quite convenient. No bad comment, please keep going forward! Need help or wanna share your opinions? Visit the forums! Copyright © 2008-2010 CometBird. All Rights Reserved.